Why use Xeno-Free Media to Expand Mesenchymal Stem Cells? 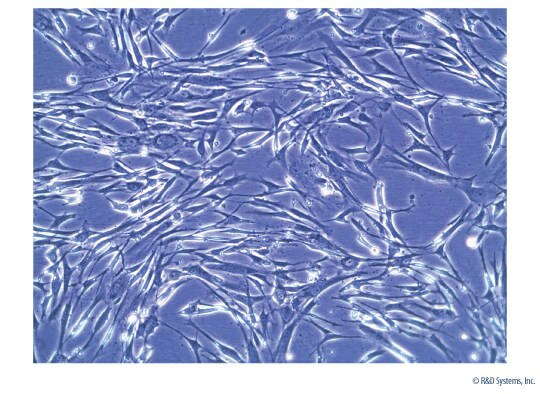 Mesenchymal stem cells are often expanded in media that contain serum and other components that are of animal origin. The presence of animal-derived factors in media can introduce experimental variability and limit the use of the cultured cells in translational or clinical studies. 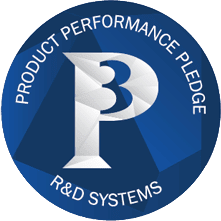 R&D Systems offers StemXVivo® Xeno-Free Human MSC Expansion Media, a media that is optimized for efficient expansion of human MSCs in the absence of animal-derived components. 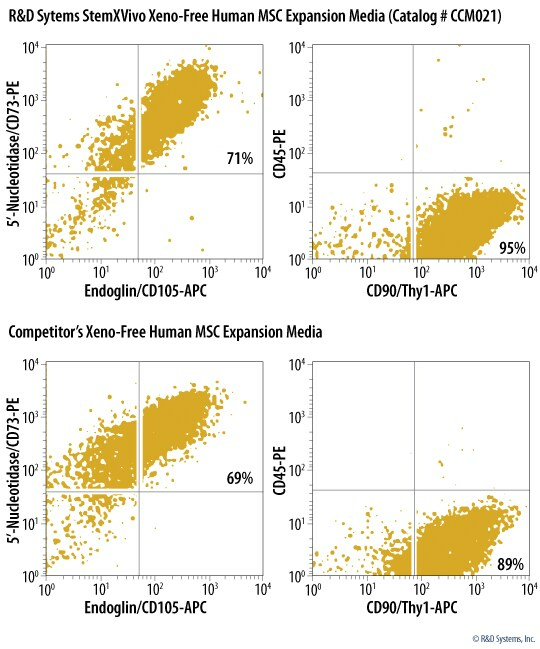 MSCs expanded in StemXVivo® Xeno-Free Human MSC Expansion Media maintain a characteristic fibroblast-like morphology, remain in an undifferentiated state, and express MSC markers. Supplied in a 500 mL volume, StemXVivo Xeno-Free Human MSC Media contains high quality factors to support MSC expansion in vitro. This media does not contain antibiotics. StemXVivo® Xeno-Free Human MSC Expansion Media is stable until the expiration date when stored at -20 °C in a manual defrost freezer. The media should be thawed at 2 °C to 8 °C. Thawed media can be aliquoted and stored at -20 °C in a manual defrost freezer for up to 3 months or used within one month when stored in the dark at 2 °C to 8 °C. Avoid repeated freeze-thaw cycles. View Larger Image Morphology of Mesenchymal Stem Cells (MSCs) Cultured in StemXVivo Xeno-Free Human MSC Expansion Media. Bone marrow-derived human MSCs were cultured in StemXVivo Xeno-Free Human MSC Expansion Media (Catalog # CCM021) for 4 passages and then imaged using brightfield microscopy. 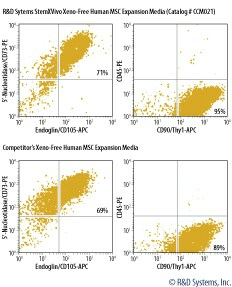 View Larger Image Expression of Mesenchymal Stem Cell (MSC) Markers in MSCs Expanded in R&D Systems StemXVivo® Xeno-Free Human MSC Expansion Media or a Competitor’s Xeno-Free MSC Expansion Media. Human bone marrow-derived MSCs were expanded for 4 passages in StemXVivo® Xeno-Free Human MSC Expansion Media (Catalog # CCM021) or a competitor’s xeno-free MSC expansion media. The cells were harvested and stained for the expression of positive and negative MSC markers. Positive MSC markers were detected with APC-conjugated Mouse Anti-Human Endoglin/CD105 Monoclonal Antibody (Catalog # FAB10971A), PE-conjugated Mouse Anti-Human 5’-Nucleotidase/CD73 Monoclonal Antibody (Catalog # FAB5795P), and APC-conjugated Mouse Anti-Human CD90/Thy1 Monoclonal Antibody (Catalog # FAB2067A). Expression of the negative MSC marker, CD45 was detected with PE-conjugated Mouse Anti-Human CD45 Monoclonal Antibody (Catalog # FAB1430P). Quadrants were set based on isotype controls. Coat plates with Recombinant Human Fibronectin. 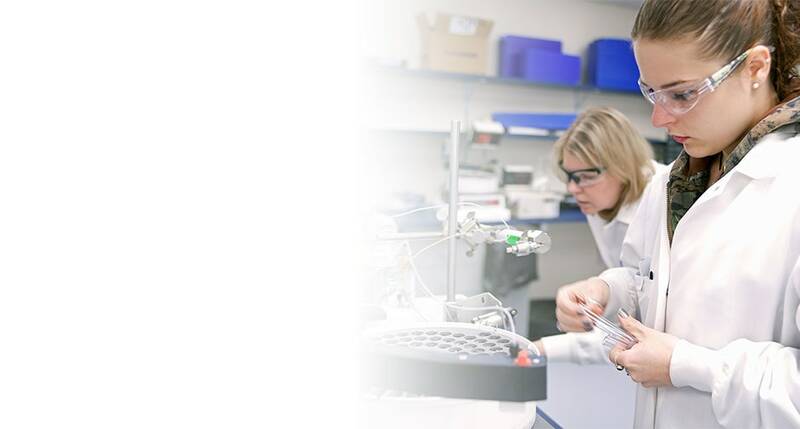 Pre-warm the required amount of StemXVivo® Xeno-Free Human MSC Expansion Media to room temperature. 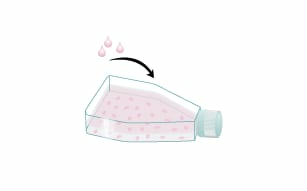 Resuspend 4.5-5.0 x 105 cells in 20 mL of the pre-warmed media. 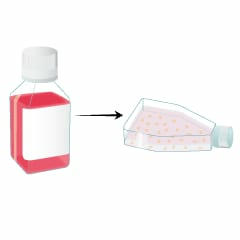 Add the cell suspension to a Fibronectin-coated T75 flask. Incubate the cells at 37 °C and 5% CO2 in a humidified atmosphere. Replace spent media every 2-3 days with 20 mL of fresh, pre-warmed StemXVivo® Xeno-Free Human MSC Expansion Media. Subculture the cells when they reach 80-90% confluency. Do not let the cultures become 100% confluent. Coat the plates with Recombinant Human Fibronectin. Pre-warm StemXVivo® Xeno-Free Human MSC Expansion Media and TrypLE Express™ to room temperature. 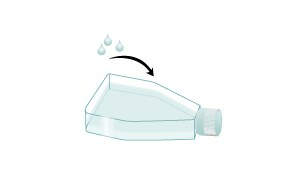 Remove and discard the media from the flask(s). Wash the cells once with PBS. 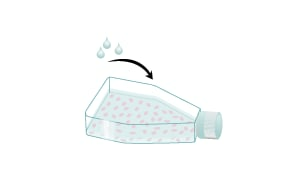 Detach the cells using TrypLE™ Express. 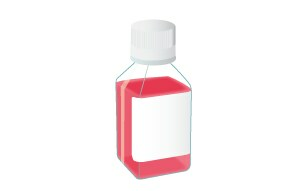 Add 5 mL of StemXVivo® Xeno-Free Human MSC Expansion Media to the flask. 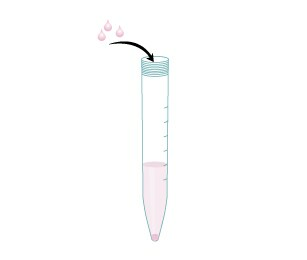 Transfer the cells to a 15 mL conical tube and centrifuge at 400 x g for 5 minutes. 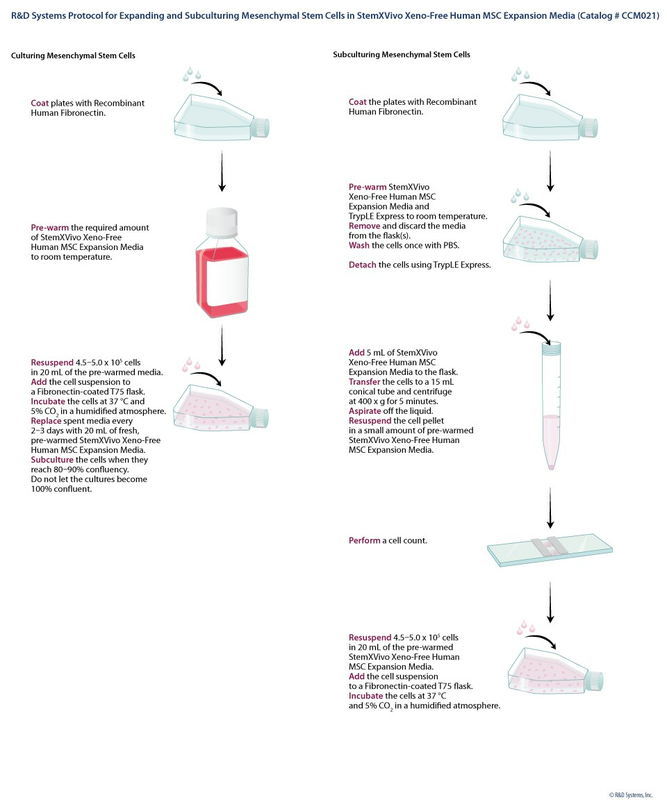 Resuspend the cell pellet in a small amount of pre-warmed StemXVivo® Xeno-Free Human MSC Expansion Media. 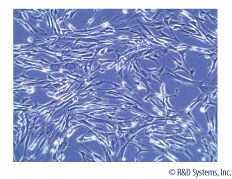 Resuspend 4.5-5.0 x 105 cells in 20 mL of the pre-warmed StemXVivo® Xeno-Free Human MSC Expansion Media. There are currently no reviews for this product. Be the first to review StemXVivo Xeno-Free Human MSC Expansion Media and earn rewards! Have you used StemXVivo Xeno-Free Human MSC Expansion Media?